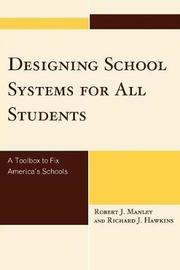 Designing School Systems for All Students provides a clear methodology for school leaders, teachers, and school board members to follow as they redesign their schools for the benefit of students. The authors demonstrate how school leaders set the expectations for all students to learn and grow as important contributors to the culture. In the effective schools that the authors describe, students deliver performances, discuss and conduct important inquiries, and lead profound learning activities. The book explains how curriculum can be redesigned to engage students in advanced cognitive and social and emotional development. Additionally, several barriers to great schools that include assessment practices, false testing procedures, poor governance, ineffective leadership and staff development are described in stark detail. Throughout the book are examples of effective practices that make it possible for all students to prosper in school. 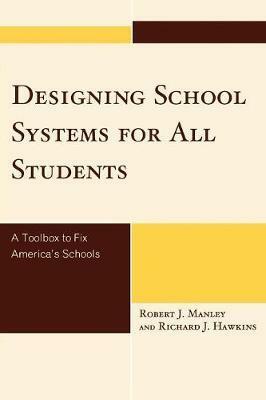 This book is filled with practical ideas that are compiled into a toolkit to fix America's schools. Robert Manley, professor of educational administration at Dowling College, has served in a variety of administrative positions, including assistant principal at Babylon Junior/Senior High School, principal at Plainedge, assistant superintendent for curriculum and instruction, and superintendent of schools in West Babylon, New York. He also served as president of the board of directors for the Suffolk County Library System and the Suffolk County Organization to Promote Education. Rich Hawkins spent eight years as assistant superintendent and twelve as superintendent with the William Floyd School District. Under his leadership, the district has experienced marked growth in student enrollments, increased student achievement, a rebuilding of the district's infrastructure, as well as numerous other systemic changes designed to make students, their school environs, their local community, and faculty and staff successful .